There's always something happening at the allotment. Changes and growth continue daily so no doubt by the time you read this half of what I say is out of date old news. 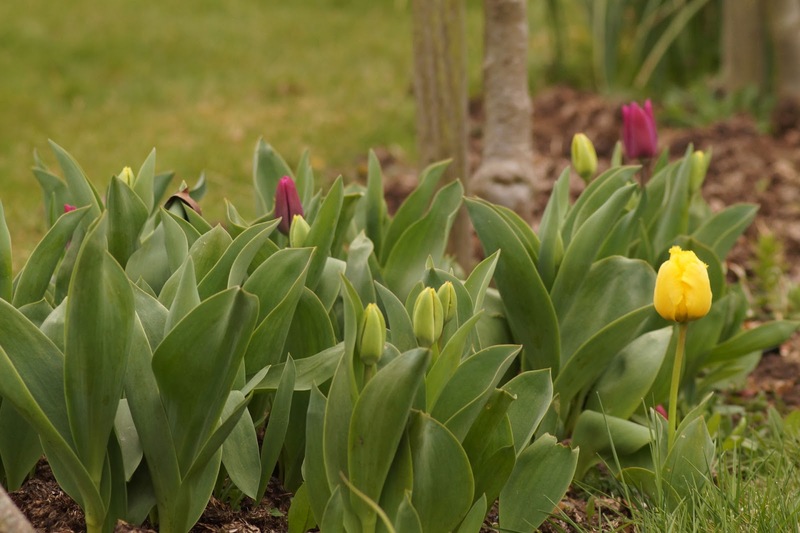 March and April are when the weeds make a renewed start on the plot which heralds the springtime shift. If it's warm enough for weeds, it's warm enough for plants*! *ish. 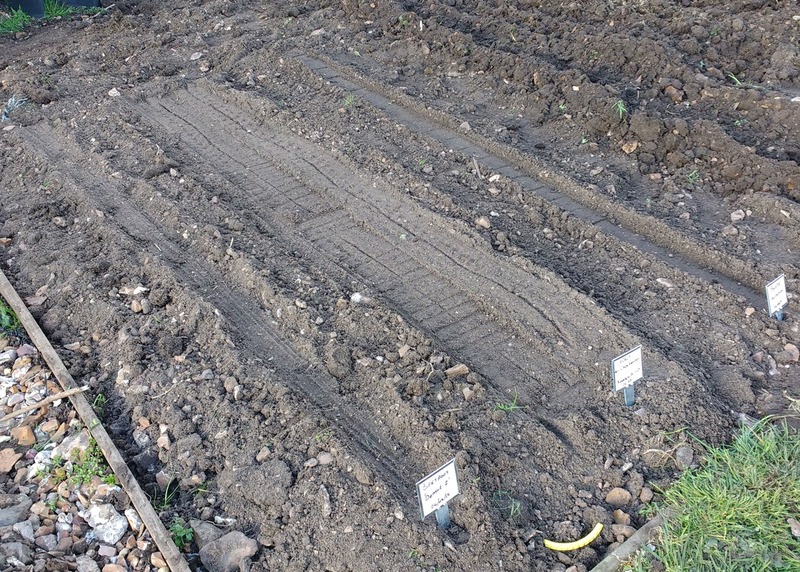 It's not that warm and high risk of frosts still so you have to be careful with anything susceptible. 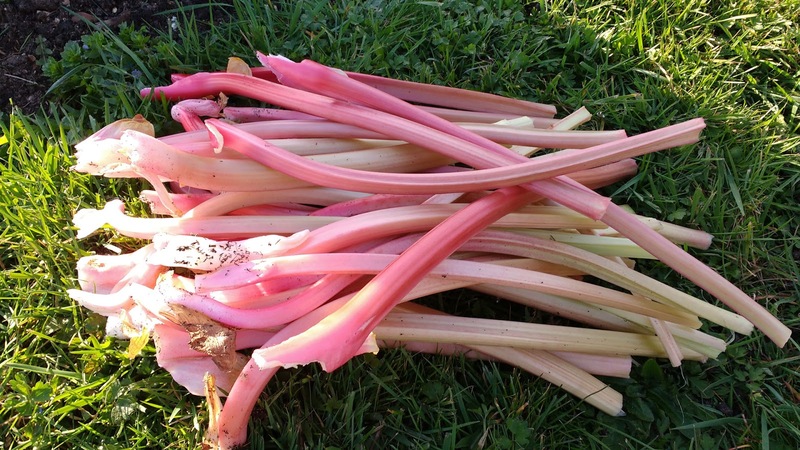 The first harvest of the season is rhubarb. We had covered it up in order to 'force' it to producing tender shoots in the protected atmosphere of the dark and relative warmth. These were then pulled off, gently bubbled in a saucepan and eaten. Usually C pull the rhubarb but he was busy and I was impatient. I had a go myself and it was much easier than I thought. If you cut it then the plant won't regrow, so pulling is essential for a longer crop. 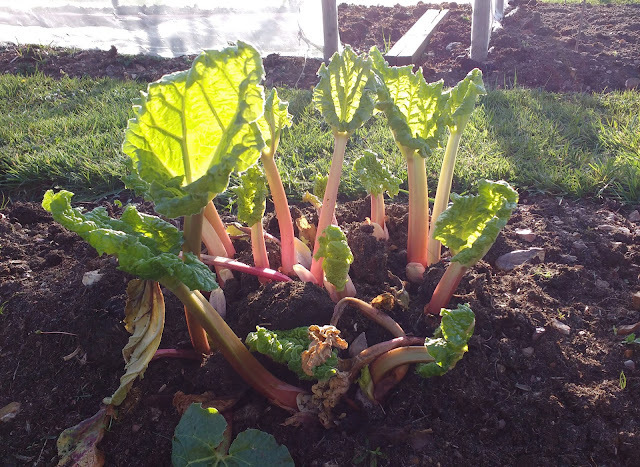 Neighbouring plots with rhubarb have huge plants so I don't know why ours are so small? 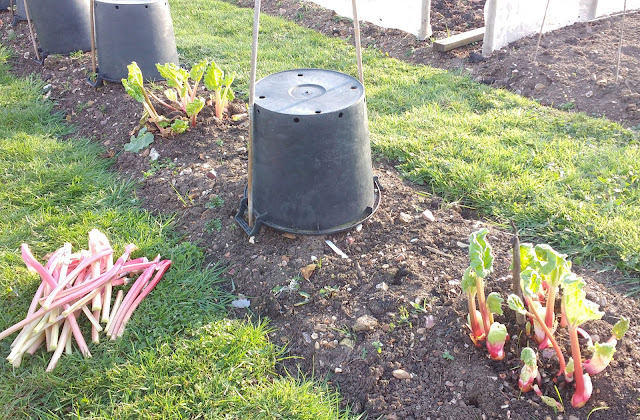 Anyway, we've since had a second lot and taken the buckets off. 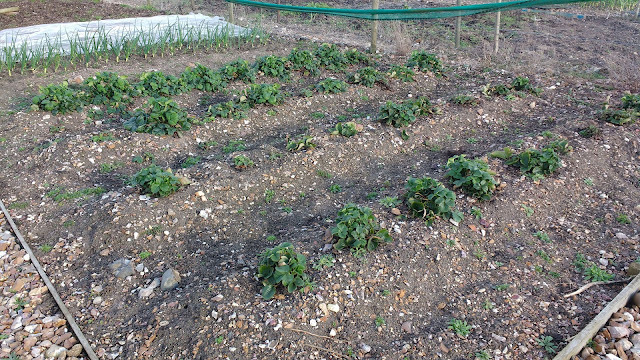 Last year we bought new strawberry plants and hoped they would establish. Many did but some died - some always do, I don't know why. So this year we're hoping for a strawberry crop! I missed them last year. The orchard half plot is changing quickly. 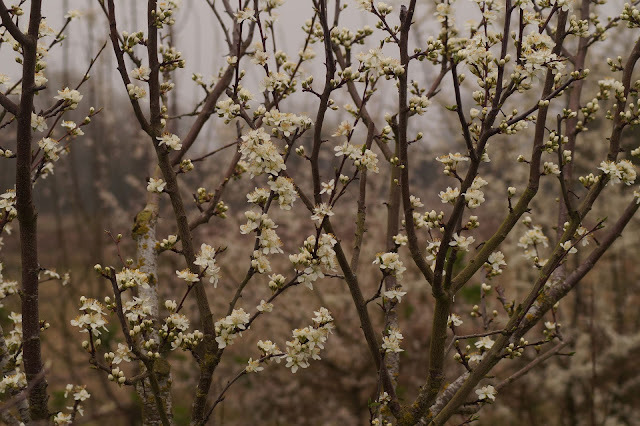 The plums and pears are now in blossom with others going to flower imminently. 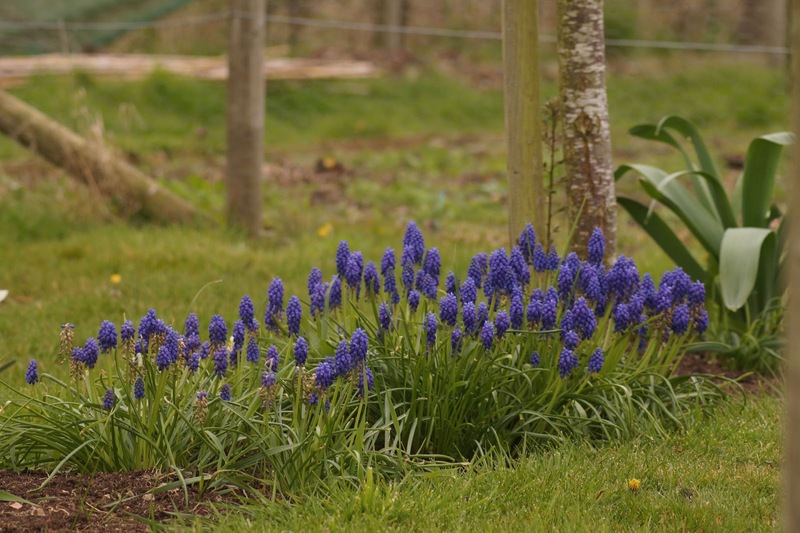 The muscari, daffodils and tulips are going well. 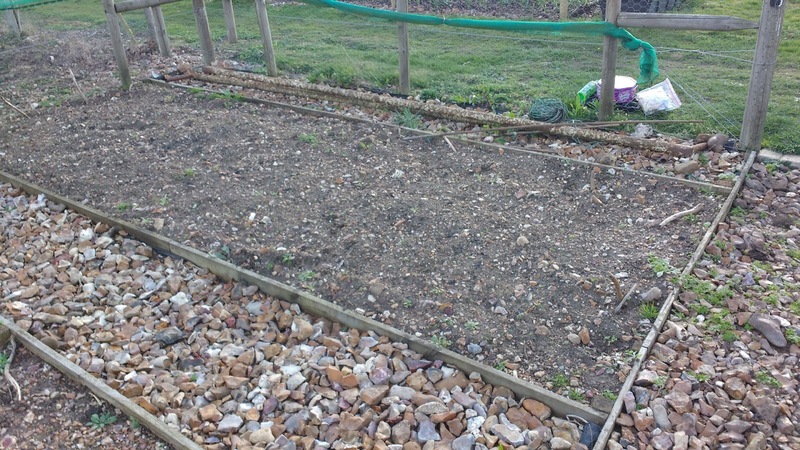 I've sown seeds for others this year and given it all a decent weed. 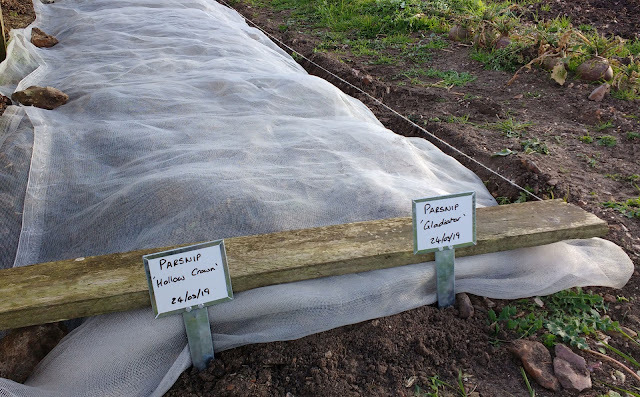 Parsnips, carrots, beetroot and swede have been sown. 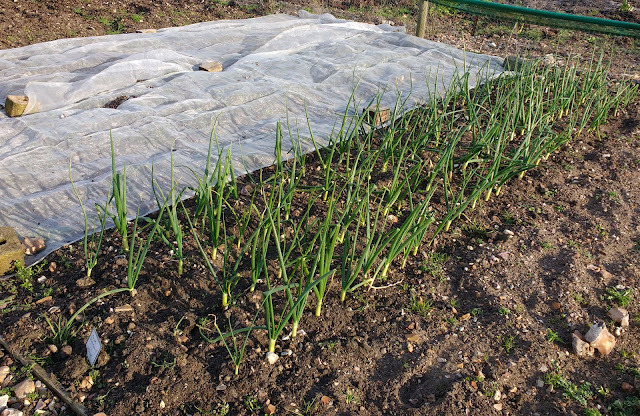 Onion, garlic and shallots have been in since last year but have been added to. 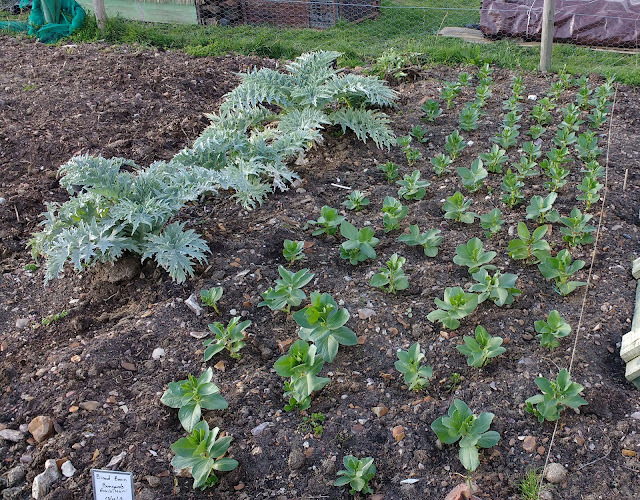 Broad beans are doing ok. 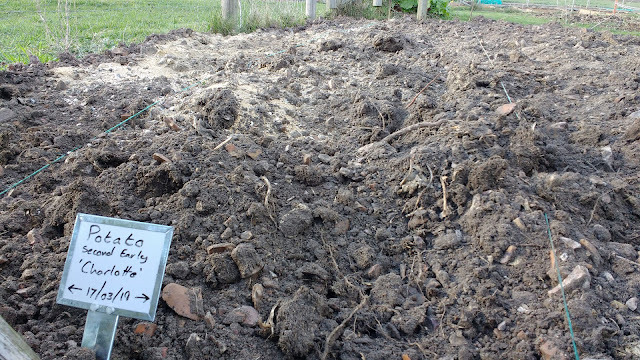 The old flower patch has become the asparagus bed. 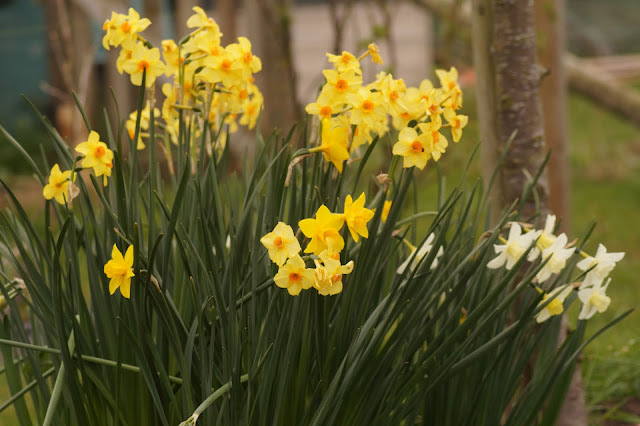 We lifted, divided and re-planted them over winter. I hope we can eat some this year as it's so good but they may not be up to much yet. This all sounds very exciting! I have some strawberry plants on the go but have been very lazy at potting up anything else - you guys put me to shame! It looks all so impressive!!! I LOVE Rhubarb- I wish I had the space to grow it. Tempted to get an allotment just for that! 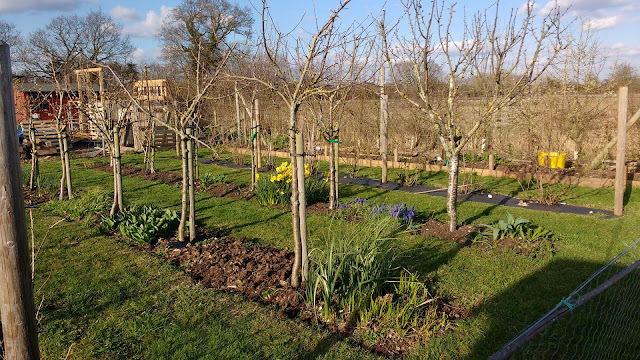 The orchard is beautiful and everything is so neat!